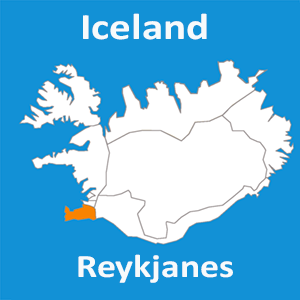 The tour starts in the western part of Reykjanes Peninsula viewing natural wonders and geological marvels. After approximately three hours of driving, we will stop for lunch in Grindavík town. From our lunchtime, the tour continues east towards Krísuvík on a remote dirt road to “Vigdísarvellir fields. It is a great route to experience nature, lava and craters and the joy and excitement of driving a quad bike. On the way back we stop and take a look at the lake “Kleifarvatn” and also the famous geothermal area Seltún. After the ATV tour, you have the option to relax in the Blue Lagoon (admission to the Blue Lagoon not included). This is a tour where you will go through all kinds of terrain. You will start at the old Grindavík dock, which is now a recreational area with fascinating shipwrecks and over hundred-year-old foundations. You will drive through rocky mountain paths towards Mt.Thorbjorn, a dormant sleeping volcano that towers over the Blue Lagoon. Our journey heads on to the one hundred craters of Eldvörp. The area is literally packed with volcanic craters and we will stop for a short hike at one of them. It is a crater that has extensive thermal activity both within and outside of the crater blowing 280´C steam. This area is a geological wonderland and mostly only known to residents, making it a real hidden gem for the newcomer! After the short hike we continue alongside the one hundred-crater row towards our local hot spring area Gunnuhver, exploited by steam vents and mud pools. The mud pools where steam from bubbling geothermal reservoir emanates and condenses and mixes with surface water is a mind-blowing sight. From Gunnuhver hot spring the ride continues towards the ocean to see the very cool rock formations of Valahnukar where there is often a lot of high waves offering spectacular views as waves break on the troll-stone rocks. On that site, you’ll also have a spectacular view of the volcanic island Eldey and the oldest lighthouse in Iceland. The fun is not over yet as our next path is a ride through a vicious black lava field. This is a bumpy terrain through one of Game of Thrones film spots and towards the black sandy beach Sandvík. Another film location where Clint Eastwood filmed the award-winning movie Flags of our fathers, based on the battle of Japanese island of Iwo Jima during WW2. A very picturesque spot and sometimes you can even see brave surfers riding the waves of the cold Atlantic Ocean. By the beach, you will find sand dunes, and the guide will pick a fresh track on the sand between them if everyone is up to the adventure. And as the tour continues you will soon find yourselves driving inside a rocky canyon, where your guide will stop for hot chocolate and twisted donuts. You are now placed in the middle of two continents, between the tow tectonic plates Eurasia and America. We'll head back to Grindavík for lunch where we park the ATV's by a restaurant located just in front of the Grindavík harbor. The restaurant is decorated with old fishing equipment, ornaments, and pictures from the early days. The restaurant offers lobster soup and soup of the day, an Icelandic meat soup (Kjötsúpa) and lots of other delicious stuff, all included. After the lunch break, we jump back on the ATV's and continue our adventure heading to see the breathtaking volcano garden of Krísuvík loaded with geothermal steam vents and volcanic craters. We stop by beautiful lakes in the area and enjoy nature. You're truly in the highlands of the Reykjanes Peninsula, surrounded by mossy hills and lava and in a place, hardly anyone enters so that you will feel tucked away in the wilderness away from any man-made distractions. We'll stop by the popular Seltún hot spring area with all its magnificent colors from bright yellow, red, and green to many gray colors of mud. Near the geothermal fields are several craters created by the explosions of overheated groundwater. On our way back we stop by the lake “Kleifarvatn”. If you like to have fun, take a cool drive, see impressive geological formations and landscape you rarely see anywhere else this tour will not disappoint you!